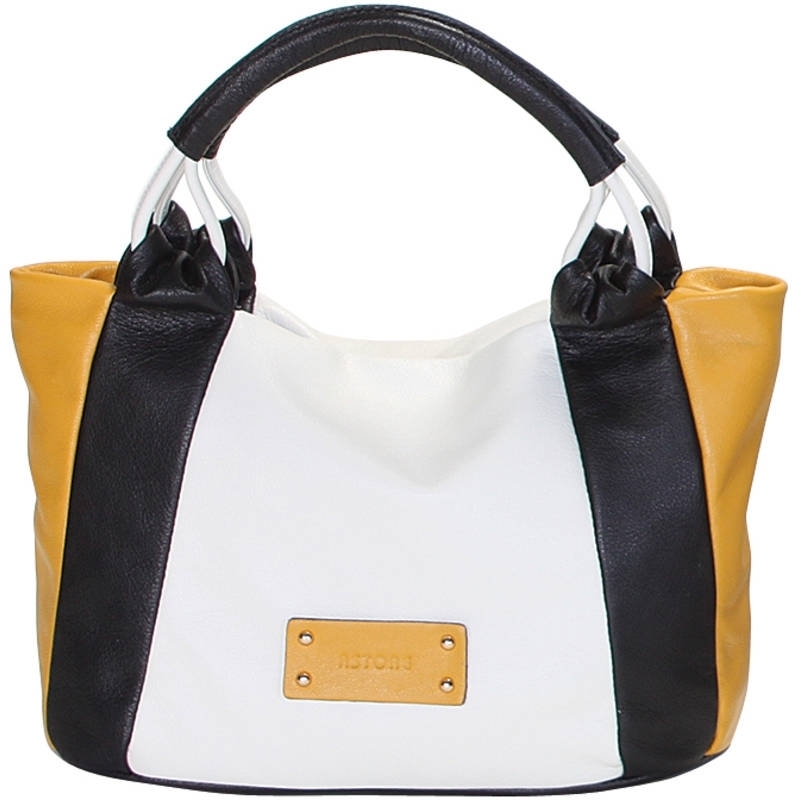 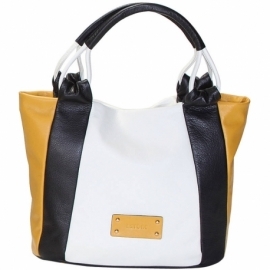 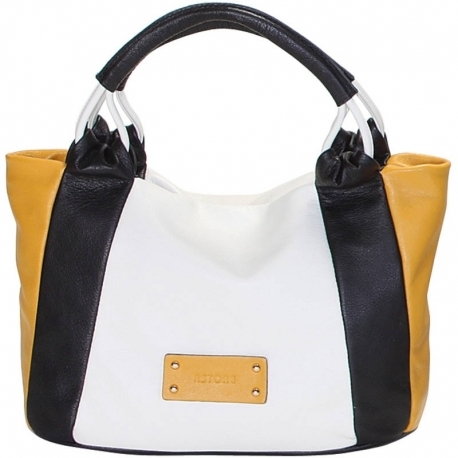 Natural leather handbag, with handles and zip fastener, inside pocket and lining inside. 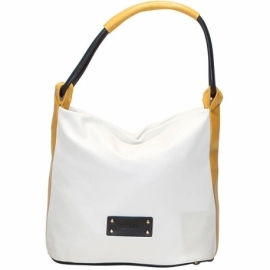 Ideal for free time and casual clothes, very comfy thanks to its flat shape, colored and lively it fits at any age. 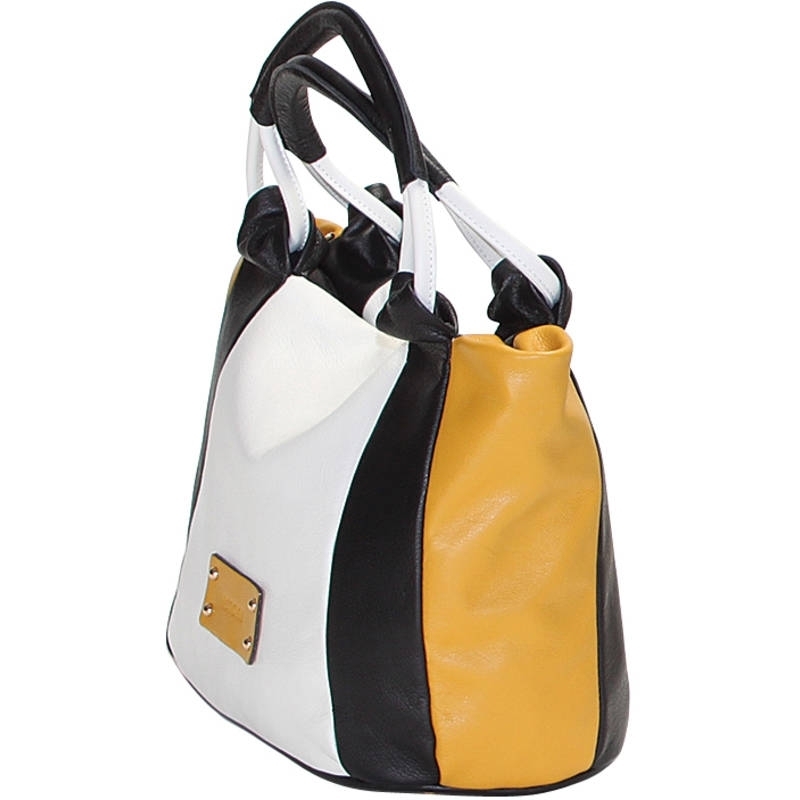 Colors ice, black and yellow and pattern plain.